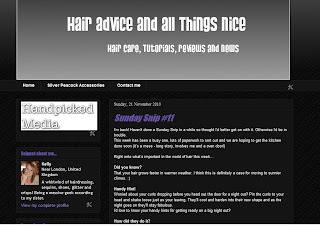 Hair Advice (+ all things nice) | UK Hair Blog: Happy Blogday!! As the title suggests today is a special day for me and my little blog. 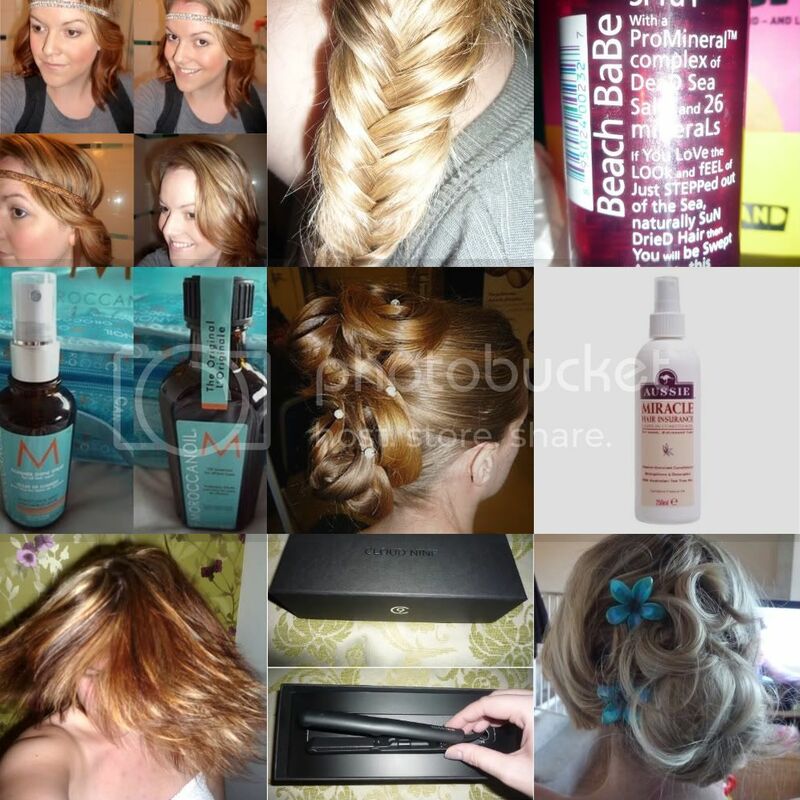 Hair Advice and All Things Nice is 1 today! Hooray! I know every blogger says it but I really am grateful for the friends I have made, the comments I get, and the great community I'm involved in. I reached 200 followers recently which was a target for my 1st birthday. 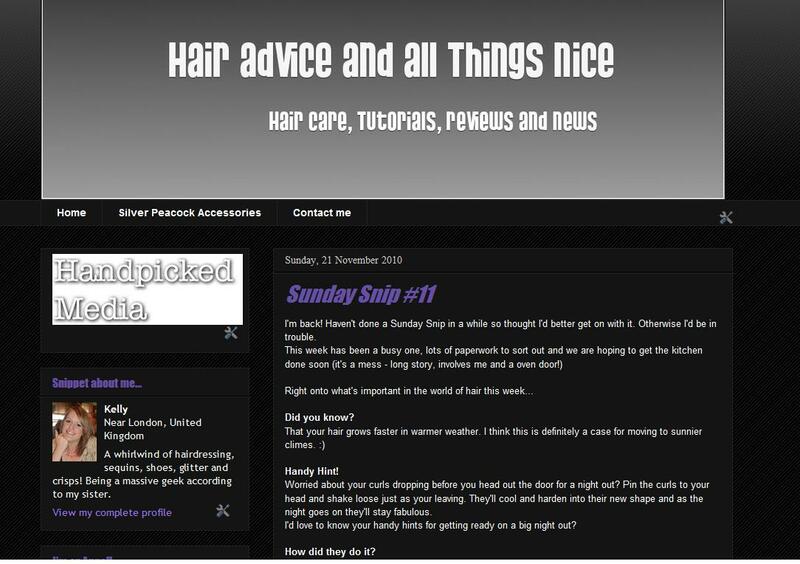 Thank you to all that read the blog, I hope my hair geekiness is good reading and that I've helped with any hair problems you have. Thought I'd do a little 'awards' type post, just mentioning some of the lovely people I've met, and what fantastic opportunities I've been given. Vix always comments on any post I do, with an honest opinion, and well thought out answer. She's funny, talented, lovely and has a jewellery collection to die for. So thanks gorgeous lady. She reads the blog regularly and always lets me know if my pics have been too posy, or she didn't like something. She's helped out on posts, and is always happy for me to muck about with her hair. I love her to bits, and yes Crystal I will be doing a "special post all about you" soon. Not so much one post, but the Sunday Snip series has been great fun to write, and I've learnt some very random facts indeed! I love the comments you guy leave on them, and I think it makes a fun read. What's your favourite type of post? Since the beginning I'd dreamt of being an Aussie Angel, and now I'm lucky enough to be part of the angels I can say the events are just getting better and better. So much thought and effort goes into them, so thanks Aussie. It's been amazing! And the final award has to go to Jen @ A Little Bird, without her there would be no Hair Advice. She gave me the idea of blogging and I'm so glad I did. She deserves the success she is getting with her blog, and I hope to finally meet her one day. :) Thanks Jen! So that's it guys, once again thanks for all your comments, heres to another year just as fun filled. Happy Blog Birthday to you and your blog! aw this is lovely :) yay Happy 1ST Birthday you rou & ur blog. How exciting. As a fairly new reader to you blog, I find it very helpful, and also fresh from the normal beauty/fashion/lifestyle blogs I normally read. Happy Blog Birthday!!! You are the biggest hair geek I know...but I love it :o) just wish you loved closer so you could be my personal stylist everyday! hehe. Well,that's awesome! It ain't easy,and is a lot of work,so for you to have made a whole year is terrific!Congratulations and Happy Blogday! Aww, thank you for the mention sweetie! I really must take shameless advantage of you soon and ask for some advice about getting my hair chopped. Huzzah for the blogiversary (is that even a word? It is now!) - you deserve all of those followers and tons more!